How does a football club get over the trauma of losing the most successful club managers in the history of the game? If you are Manchester United, you appoint David Moyes on a zero success contract. If you are Liverpool you appoint Joe Fagan, who goes on to win you a treble, including the League Title and the European Cup. 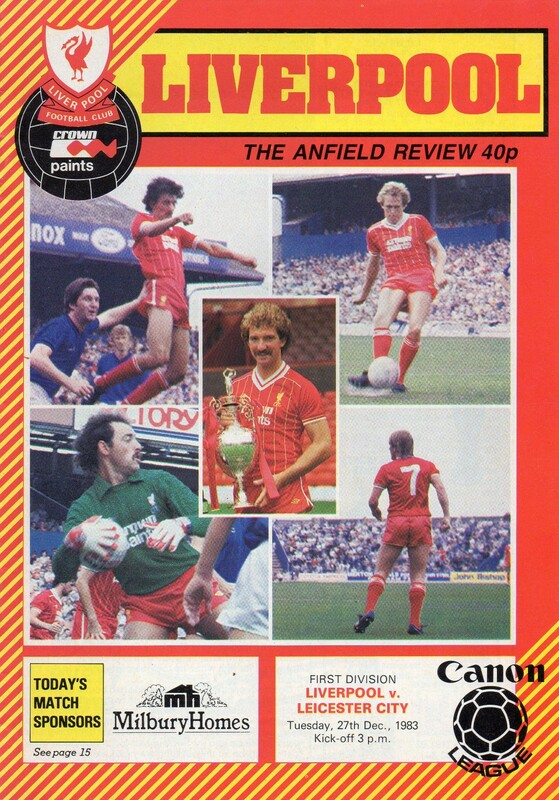 1983-84 was the mother of all transitional seasons for Liverpool Football Club. Bob Paisley had just stepped down after an illustrious nine years in charge. His magnificent trophy haul had included six League Titles, three European Cups, the UEFA Cup, European Super Cup, three League Cups and six Charity Shields. In less than a decade Paisley had ascended to the very pinnacle of English and European Football. The Reds were building a dynasty. Paisley himself had reluctantly replaced the immortal Bill Shankly and went on to take the club to new heights. Why wouldn’t they look internally for a successor to Bob? They had the most incredible footballing ‘brains trust’ in the history of the game, sitting in the Anfield ‘Boot Room’ and they wasted no time in appointing the 62 year old Joe Fagan, who had served alongside Bill and Bob for decades. Joe’s debut season in the dugout didn’t get off to a great start. The Reds lost 2-0 to arch rivals Manchester United in the Charity Shield, at Wembley, with Bryan Robson grabbing both goals. It would however, end in unparalleled success. The home game against Leicester that season took place on the 27th December. Incredibly it was their second game in 24 hours, after coming from behind to beat West Brom’ away just a day earlier. The Reds were sitting at the top of the table, three points clear of Ron Atkinson’s Manchester United and, thanks to wins over Birmingham City and Athletic Bilbao, were still competing on all fronts. The torch had been successfully passed, and all signs pointed to another great season at Anfield. In the 80’s the Scouse music scene was buzzing again. 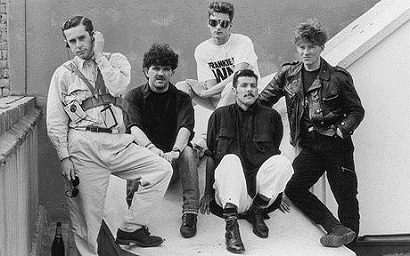 Bands like China Crisis, OMD, Teardrop Explodes, Echo and The Bunnymen, Dead or Alive, Flock of Seagulls and Franky Goes To Hollywood all enjoyed commercial success. But in every other sense life around the place was starting to feel very different. Gone was the irreverent cockiness that epitomised the 60’s and 70’s, only to be replaced by a bitter siege mentality and spirit of resistance. The city council were on a collision course with the Thatcher government. They would ultimately refuse to set a rate that would have lead to massive cuts. They forced concessions initially, but Thatcher would have her revenge. It seemed it was us against the rest of the country back then, and a new ‘Scouse not English’ sentiment began to take hold. Westminster clearly had no time for rebellious places like Liverpool. Recently released cabinet papers have now exposed plans for the “managed decline” of the city. Industry was being decimated and class mates were now receiving free school meals, as their parents were made redundant. I faced leaving school in the new year, with little prospect of a job. But it didn’t matter what they threw at us back then, because we had Liverpool Football Club. They could try to impoverish the town, but they couldn’t take away our trophy cabinet. In the sporting sense our city remained untouchable. The turnout for the game was relatively low, just 33,000. Perhaps it was the economic circumstances, maybe it was Christmas sore heads that reduced the turnout. George Sephton will have doubtless played the Christmas number one, ‘Only You’ by The Flying Pickets, a very apt band name for the period, as the team warmed up. Back then a giant Crown Paints tin would grace the centre circle before every game. The paint company had become Liverpool’s shirt sponsor, replacing electronics firm Hitachi. The sight of stewards having to carry the prop off the pitch, before kick-off, at every game, was always a comical sight. My memories of Leicester City are that they were somewhat of a bogey side during the ’80’s. They came to Anfield that day, managed by one of Shankly’s old boys; Gordon Milne. Joe Fagan devoted most of his match day programme notes to singing the old boy’s praises. Liverpool line up with Bruce Grobbelaar in goal, whose wobbly legs would bring our fourth European Cup home just four months later. Graham Souness was captain and this would prove to be his last season at the club, as a player. 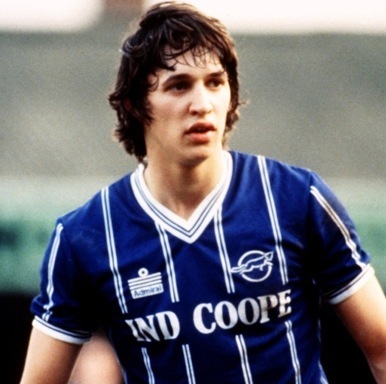 Notably for ‘The Foxes’ was the presence of Alan Smith (of Arsenal fame) and Gary Lineker, who would join Everton in the 85/86 season. Also lining up for the opposition, in midfield, was the man who would replace Graham Souness at Anfield the following season, Kevin MacDonald. As the game got underway, it was clear the crammed festive fixture list was taking its toll on ‘The Reds’ at least. It was Leicester were fastest out the blocks and they took the lead early in the seventh minute through Alan Smith. There was no wailing and gnashing of teeth when Liverpool went behind back then. We tended to view it as some kind of freak occurrence. If anything the crowd got louder and more supportive in the face of adversity. However, frustration grew as the game dragged on. Then in the 70th minute the away side shocked Kopites with a second, this time turned in by Ian Banks. Imagine going 2-0 down at home, with 20 minutes to go, in your second game in 24 hours. How mentally and physically draining must that have been. Leicester were a younger side and a betting man would have backed them to see the game out. However Liverpool’s experience would end up being telling. It took just four minutes for ‘The Reds’ to get a goal back through Sammy Lee. Suddenly the atmosphere inside the ground changed. The City fans went quiet. A late Liverpool goal at Anfield was an ominous sign. We could sense a comeback and they probably dreaded it. In the ’80’s Liverpool possessed one of the greatest goal machines in the club’s history. With him in the side we always had a chance; and with the clock ticking down he duly obliged, scoring the equaliser on 83 minutes. Liverpool were top of the table going into the game. A draw would keep them there and would have been a respectable result. But that was never going to be good enough for a Reds side playing at Anfield back then. It was a question of honour and pride. With the clock eating up the seconds and the game ebbing away from them, Liverpool won a penalty in the 87th minute. From the jaws of defeat, a great victory was in the offing. From two goals down to winners in the last twenty minutes would have been a great Christmas present. 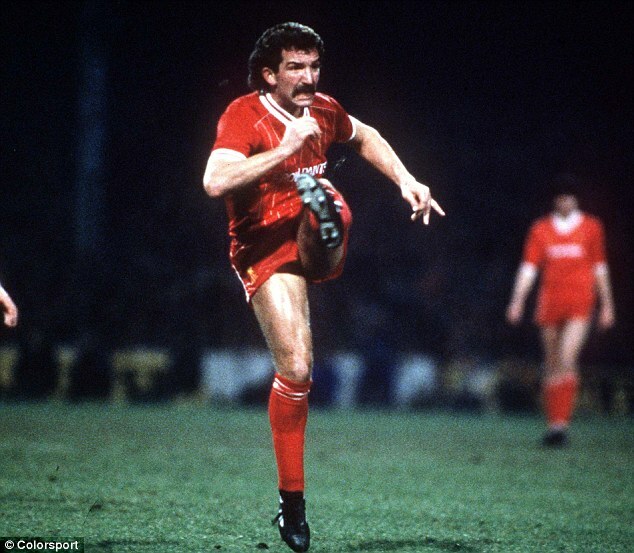 Souness picked the ball up and marched towards the penalty spot, chest puffed out, steely determination on his face. You’d have put your life on him scoring and sending the ground into ecstasy. Sadly he missed. It felt like a defeat and I remember feeling so gutted that I couldn’t look at the papers for days after. Liverpool supporters, like me, were spoilt rotten back then. However, the game did prove to be just another classic Anfield night, on the road to a historic treble for Joe Fagan’s Reds. Ultimately the club would deliver their fifteenth League Title, fourth League Cup and fourth European Cup in that most memorable of seasons.